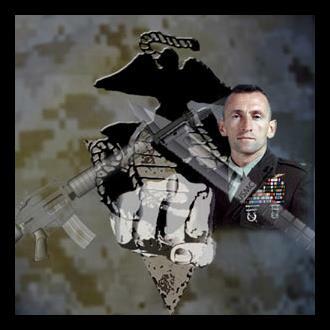 1) I am the director for the Marine Corps martial arts program (MCMAP). In that capacity, I am responsible for the martial arts training of over 175,000 Marines; a daunting task to say the least. To accomplish that mission, I sought out the assistance of Mr. Peter Brusso of Infocard. I asked him to produce a set of CDs that would capture all 176 techniques of MCMAP.I can't begin to tell you how pleased I was, as well as, my chain of command, on the quality of the CDs and DVDs Mr. Brusso completed from United States Marine Corps "USMC" MCMAP. Mr. Brusso took on the project, the USMC would have taken years to accomplish, and finished it in record time. The quality of his work was second to none! Mr. Brusso has a work ethic that would make all Marines proud. He puts his mind on a project and works nonstop to accomplish the mission…. in record time. I am now able to reach out and touch all my Marine black belt instructor trainers and Marine greenbelt instructors all around the globe, to include those in harm's way all because of the work Mr. Brusso did in making this product for the Corps. 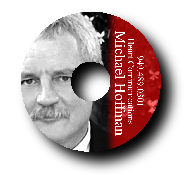 Michael Hoffman The Infocard produced for my public-relations business has improved my professional reputation dramatically. The card (CD ROM) was produced quickly and cost efficiently. 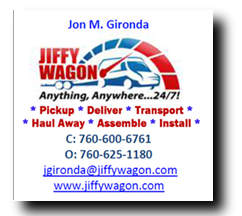 Dozens of current and potential clients have remarked about how powerful it describes my company's services. I directly attributed no fewer than three new clients to the effectiveness of a digital marketing tool like, because the lively interview format allows me to make a personal impression even when I cannot meet with someone face-to-face. I recommend Infocard to anyone who wants to take advantage of impactful and convenient digital marketing. “After working with a couple other website developers which ended in meager results; we found Peter Brusso. We needed a website that not only captured attention with esthetic appeal, but more importantly, we needed powerful SEO built into the sites infrastructure. I have forty years of experience in the electronic distribution industry. I worked for Marshall Industries, a 1.5 billion dollar company, for twenty-five years. I had various responsibilities during my tenure at Marshall Industries, which included serving as Executive Vice President of Sales and Marketing for five years, and also served as a Member of the Board of Directors. As EVP of Sales and Marketing, I was responsible for directing our sales strategies and our North American sales force, supplier relations, corporate product management, and inventory management. In 2000, Marshall Industries was acquired by Avnet Electronics, where I consulted as an Advisor to the President of the company. Some of the areas I concentrated on where the integration of the Marshall Industries personnel into the Avnet organization, supplier and customer relations, visiting branches to gauge the morale, and identify and relay service issues from the field operations to Avnet corporate management. I retired in 2004 and spent some well-deserved quality time with my family, and played some golf and did a lot of reading. After a few years of living the retired life, I decided I wanted to start a home-based business. I did my research and found that there were numerous opportunities available. Some were scams, but a lot were legitimate businesses. I found Legal Shield and my first impression of their product was positive. As I researched their business further, I was impressed with their creative solution to providing legal advice and felt that it needed to be exposed to more families. 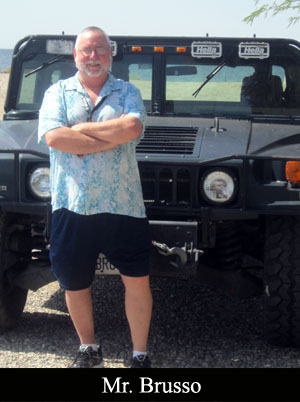 A former high school math and science teacher, Frank has over 35 years of small business experience. ⦁ Traveled extensively throughout Singapore and India raising money for 3 American companies. 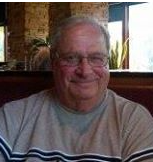 "I have known Frank for close to 50 years during that time we worked together at Cramer electronics for approximately 5 years Frank worked in a corporate position and I was a Branch Manager I had to rely on Frank and his people for customer service support. I enjoyed the interaction we had and have found Frank to be an excellent leader very knowledgeable in marketing, finance and customer service. The people who worked in Frank’s department always spoke very highly of Frank’s leadership ability and his integrity. Frank is definitely a man of his word and also someone if you ask him for an opinion you get an honest thoughtful opinion, not a politically correct opinion.